I made flower vase and artificial flowers. 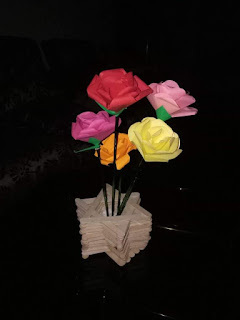 Flower vase made using Popsicle and flowers using paper. I did stem using a long stick.